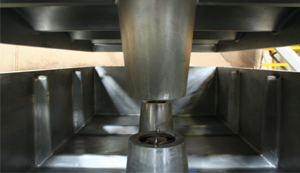 Etills Rotational Moulding offers a complete moulding service from design to manufacture. Our experience in fabricating tools and moulding an exceptionally wide range of products means that we are able to offer expert practical advice and a premium service. Our complete rotational moulding package can include product design, tooling, manufacture and dispatch. This integrated service provides considerable advantages for our customers in terms of pricing and lead times. A dedicated account manager will ensure that we understand what you want from us and has responsibility for ensuring that you get it. 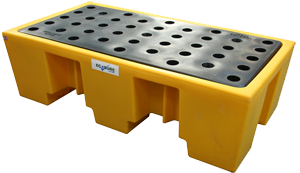 If you already own a mould, but want a reliable and efficient contract moulding service which guarantees the quality of your product and includes preventative maintenance on your mould, call us for a quote. Based on the Hertfordshire/Cambridgeshire border, we are ideally placed for transport links. We supply the whole of the UK and export to Europe and the rest of the world. 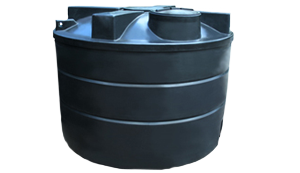 We began production seven years ago with two small machines making liquid storage tanks and garden products. We now have several machines that manufacture products which range in size from small domestic water softeners to 25,000 litre water tanks. CAD software such as Solidworks and Radan to create parts. Project management from start to finish. Variety of machinery to manufacture products. Experienced engineers to help you design your product to is fullest potential. In house metal fabrication including welding, bending and pressing. Laser cutting engineers to make pinpoint-accurate shaped pieces.